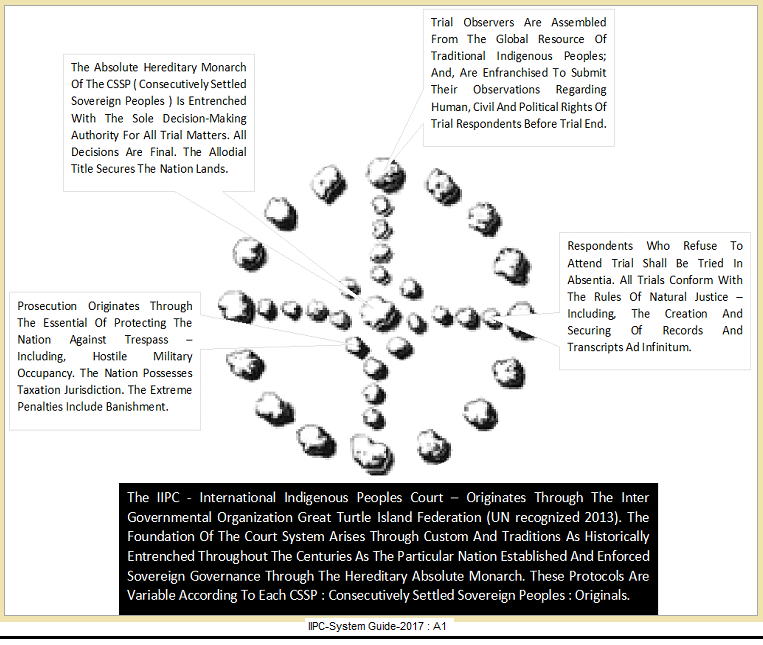 The IIPC - International Indigenous Peoples Court - welcomes all interested parties and actors to become adequately familiar with the Court Systen Guide; which provides the information regarding how the individual territorial / nation state historical and traditional customs will serve as the court hearing format. The Ambassador-at-Large Assembly provides friendly, gratuitous assistance to inquiries as a semi-indpendent agency. Sovereign IGO Kwa'mutsun Nation adoptes the IIPC format. IIPC is distinct from other judicial bodies throughout the globe. The primary function of IIPC is to serve the CSSP citizenry through the judicial system that they elect for their sovereign lands. Most other international judicial bodies possess a significant later-day colonialism stigma; namely being attached to bodies that structure their judicial decision-making through the evolutionary process of traditional law; and, therein, generally failing to incorporate the fundamental criteria of "free, prior, informed consent"; and, most certainly, disfavouring oral testimony over a factum catalogue of assembled documentation. The IIPC institutes its ethic and moral decision-making from an original premise based upon the assembled customs and traditions that have accumulated for more than 10,000 years in that particular territory. Spirituality - the relationship with the Creator and the duty of care to Mother Nature - forms the unwavering "moral high ground" at the IIPC.